West Metro Lawn Care & Snow Removal, LLC is highly experienced and qualified to keep your property looking great and your lawn green and lush ​this summer! You will work directly with the owner to create a customized summer lawn care plan that is right for you and your property! ​​​WM L&S uses the very best fertilizers & herbicides available! Our standard fertilization program includes 4 rounds of slow-release granular fertilizer, and 2 rounds of herbicide. ​Granular fertilizer will provide a longer lasting green season, versus a liquid fertilizer. Our 'Herbicide' is a very high-end liquid weed control product that is designed to eradicate broadleaf weeds from your lawn. The second herbicide application includes a crabgrass inhibitor. Herbicide applications are always applied during desirable weather conditions in order to maximize effectiveness. 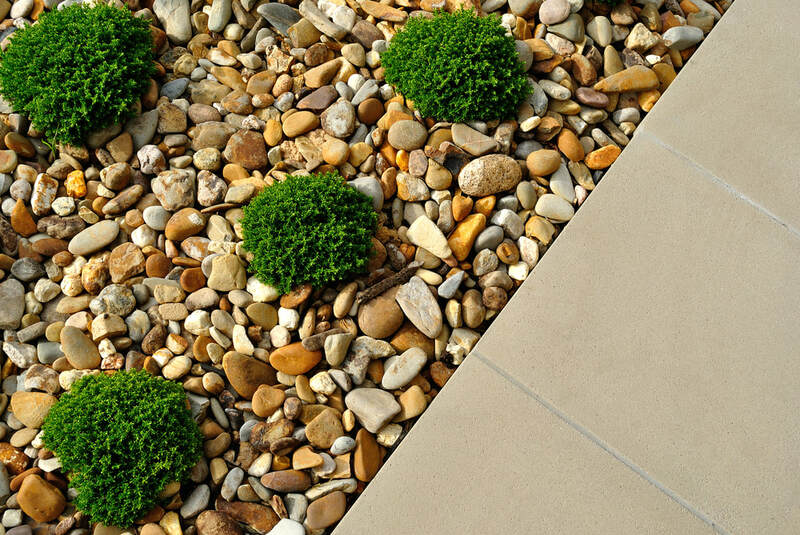 ​Snapshot is a granular PRE-emergent weed prevention product for mulch and rock beds. Snapshot provides up to eight months of control of the most common broad-leaf and grassy weeds; all without harming your existing plantings. An annual application is recommended to greatly reduce new weeds from forming. NOTE: Snapshot does not kill existing weeds – it is a PRE-emergent. To remove existing weeds, we offer the Round-up POST-emergent applications. Core Aeration can be completed in the spring and/or fall. It reduces soil compaction and helps control thatch in lawns while allowing water, air and fertilizer to move into the root zone resulting in a strong healthy root base. We highly recommend that you pair 'Overseeding' with 'Core Aeration'. Post aeration is the optimal time to encourage new growth in your lawn. 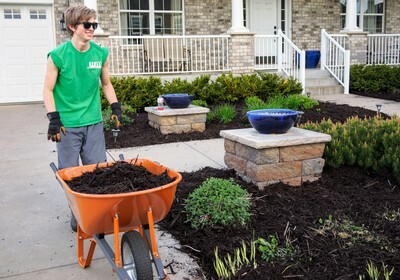 Using the right mulch can help to conserve water, discourage weed growth, shield plant roots from temperature extremes, and improve the soil. 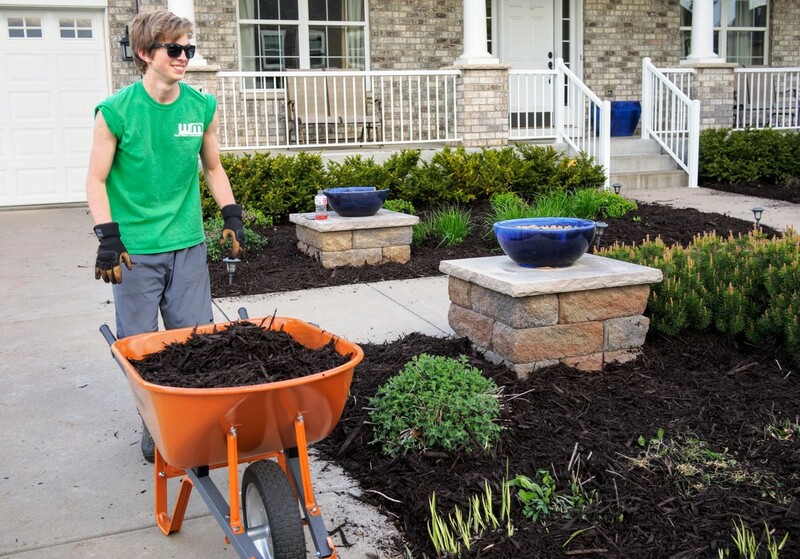 Decorative mulch can add color and texture to the space between plants.